We will convene our regular September meeting at 6:00 on Wednesday, September 17 at Char’s Landing. Please send agenda items to the list serve, either main or Foodgroup, or to Dan. 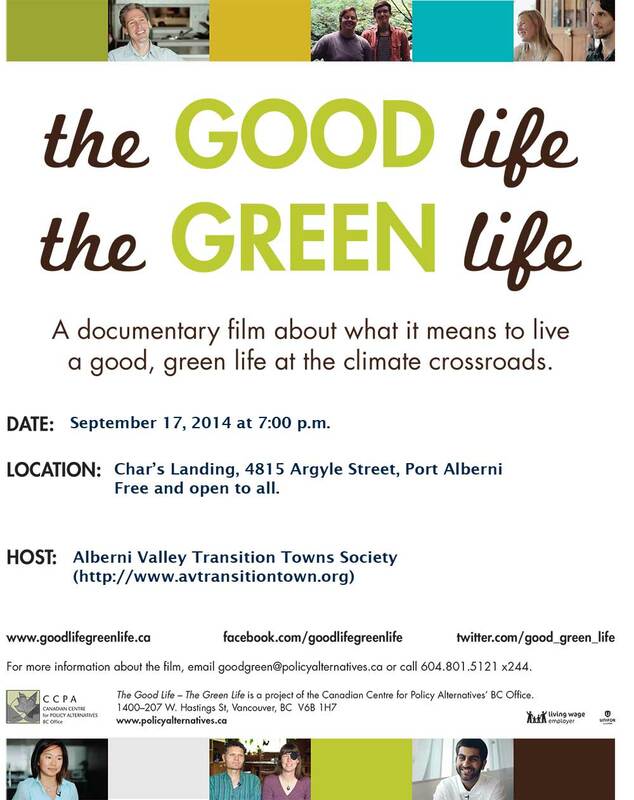 We will be hosting a screening and discussion of The Good Life, The Green Life courtesy of the Canadian Centre For Policy Alternatives. The general public is welcome, though all must be 19 years old or older because of licensing issues. Donations to defray costs are welcome, but not necessary. Hope to see lots of people out.